Tagged under Takehito Harada, OLM Digital Inc, Nippon Ichi, Games, Series, Light Novel. 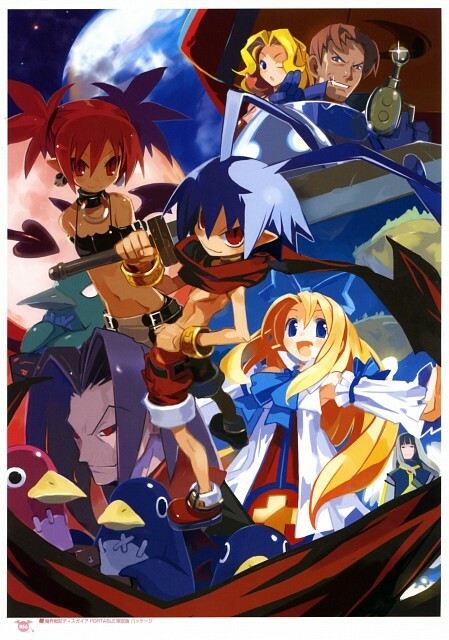 There was alot of humor and funny things about Disgaea. One-The Prinnies saying Dude after every sentence they said. Two-Someone takes a pic of Laharl while changing and photocopies it all over the Netherworld and threatens to post even more unless he fights him/her. 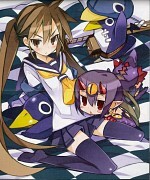 Three-Gordan and Jennifer are the funniest looking heros i've ever seen but they have this funny robot named Thursday and he's always saying Blip Bleep Blip after he says what he wants.There are also these demons that try to flirt with Laharl and he get's all freaked out by them and get's poisoned by them!!!!!!!! It was really funny you had to play it to know what i mean.